I scream, you scream, we all scream for ice cream. It's a universally loved treat that seems to make everyone who eats it giddy. However, there are two downsides to ice cream, in my opinion. First, it's hard to make at home, and good quality ice cream can be expensive. Second, it's not exactly the healthiest food... full-fat, creamy ice cream is definitely a once-in-a-while treat. Thankfully, both of these downsides can be negated by my new favorite dessert: one-ingredient homemade ice cream. And if you're waiting for a catch... there is none. It's easy, healthy, cheap, and really is just one ingredient. Check it out! 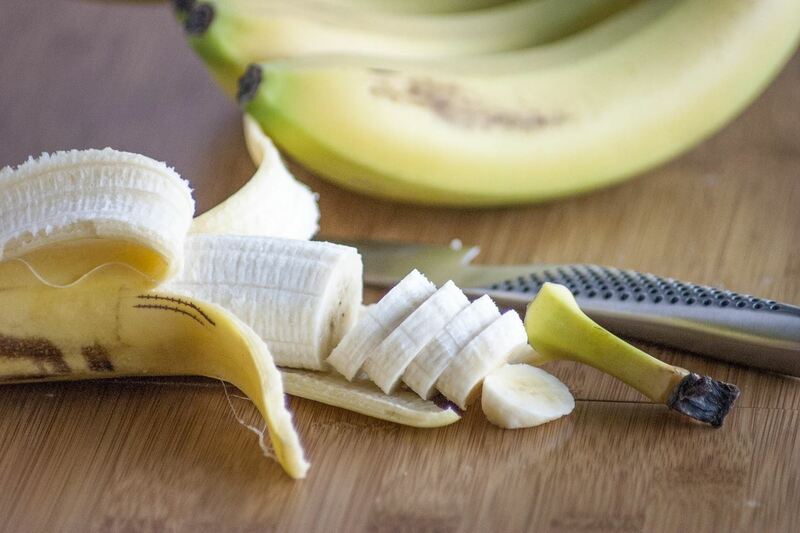 You don't need to be extremely precise when cutting your bananas, but try to keep the slices relatively uniform. This ensures a smoother, creamier ice cream. And cut up as many bananas as you would like; one and a half bananas makes about one serving. Place the banana slices in a ziplock bag or freezer-safe bowl, then place them in the freezer. You want to limit the amount of air that the bananas are exposed to, so make sure to remove the air (if using a bag) or find an airtight lid (if using a bowl). The bananas need to freeze all the way through, so let them sit for at least 2 hours—but preferably 4 or more. The bananas will hold in the freezer for months; I like to keep a huge batch in the freezer so I can make ice cream whenever I want. Step 3: Add the Frozen Bananas to a Food Processor & Let It Rip! When you add your bananas to your food processor, try to break up the slices as much as possible. The frozen bananas will clump together, but you need to keep the clumps from getting too big or the food processor won't blend the bananas together evenly. 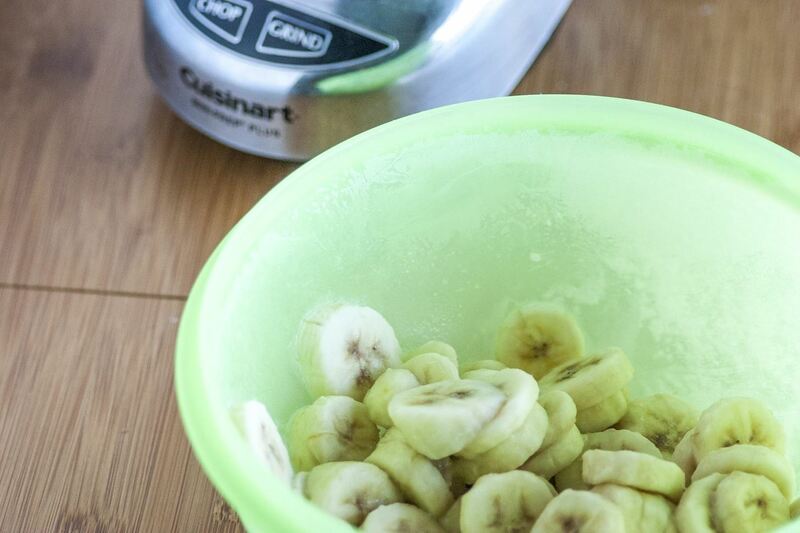 It will take your food processor a little while to turn these frozen bananas into ice cream. At first the mixture will be chunky and will resemble curdled milk. 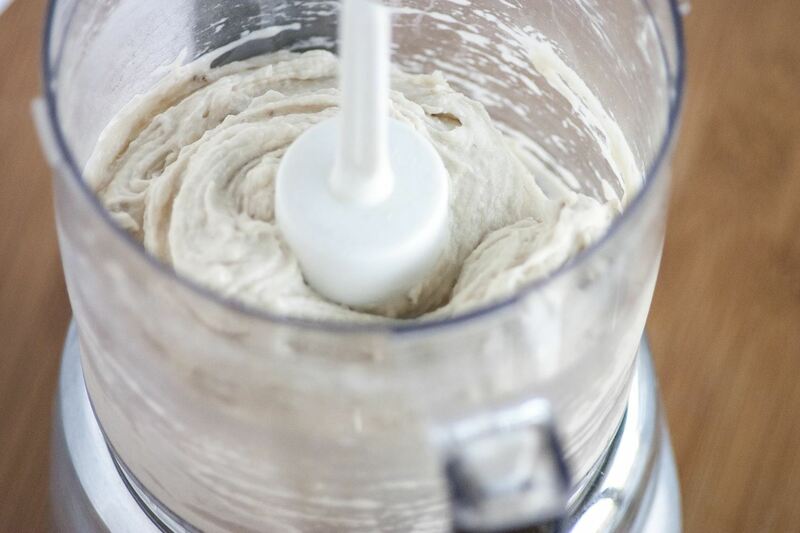 Keep processing through that stage, and suddenly the mixture will come together in one smooth and creamy piece. It's a good idea to pulse the processor in spurts of 5-10 seconds; this allows you to check the consistency between each pulse and stop the processor when it's perfect. Note: if you don't have a food processor, you can use a blender. However, I recommend making small batches of the ice cream so the blender can effectively do the job. 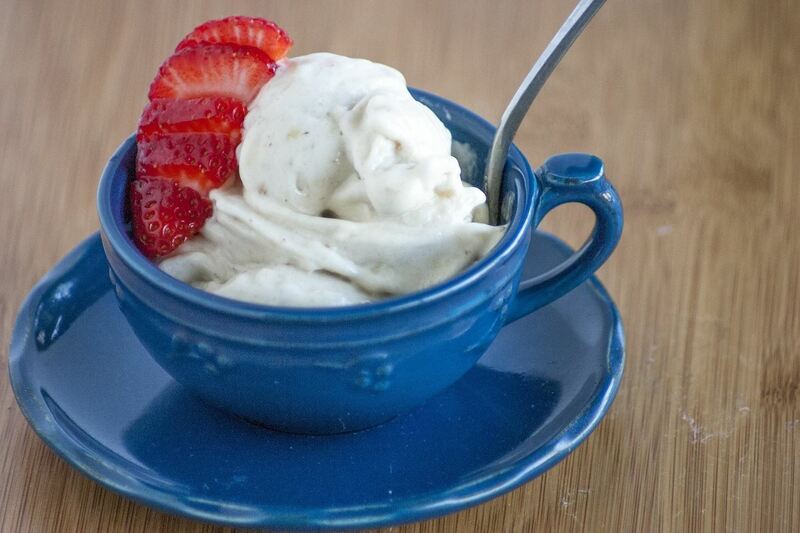 When your mixture turns to ice cream, there's only one thing left to do: eat it! Place it in a bowl, add your favorite toppings (entirely optional; it's perfect as is), and dig in. It sounds impossible, but this ice cream really is the perfect, velvety-smooth texture of dairy-based ice cream—and it's absolutely delicious! In fact, I've served it to friends without telling them that it isn't normal ice cream; everyone commented on how delicious it was, and they were shocked when I told them how it was made. This one-ingredient ice cream is delicious on its own, but adding an extra ingredient or two can make it taste even better. I like to add vanilla and fresh nutmeg, but citrus zest, various extracts, Nutella, and peanut butter are all excellent additions as well. If you try a combination of different flavors and it turns out well, don't forget to share your recipe with us in the comments.